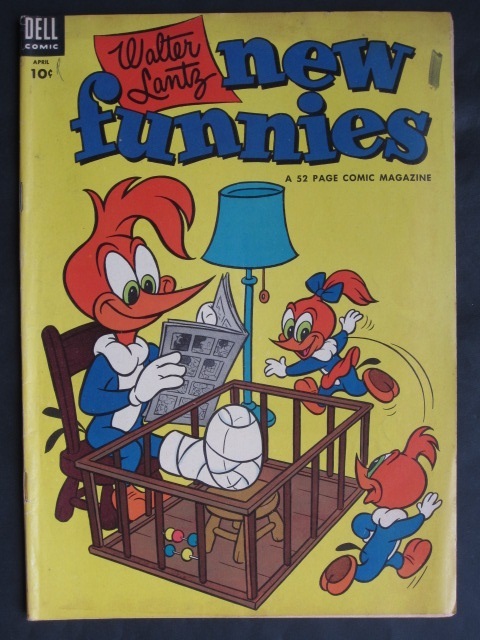 Full title: Walter Lantz New Funnies. Featuring Woody Woodpecker, Andy Panda, Oswald The Rabbit, Homer Pigeon, Knothead and Splinter, Charlie Chicken. FN/FN+ (note pencil scribble top left and crayon mark top right).